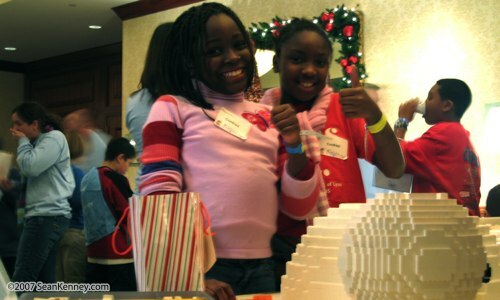 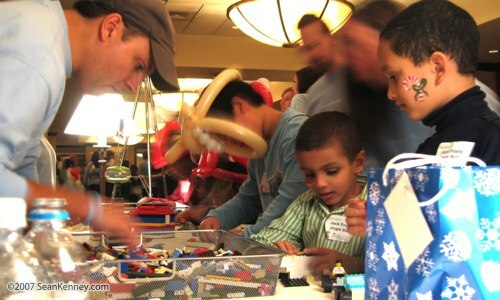 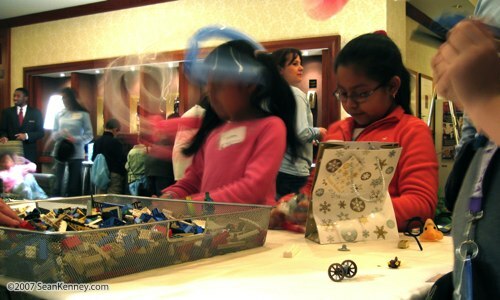 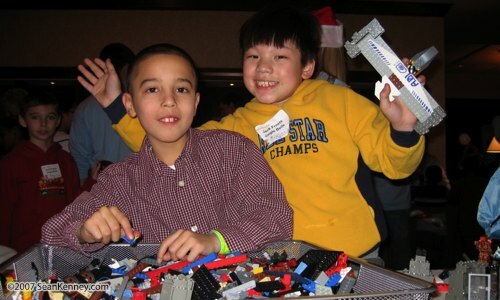 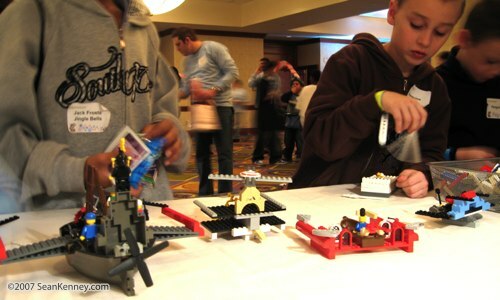 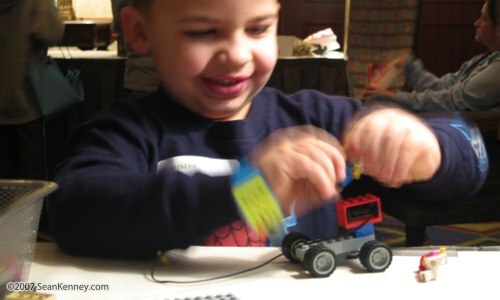 On 18-Dec 2007, The United Way and Monster.com held a holiday party for 1,300 underprivileged children. 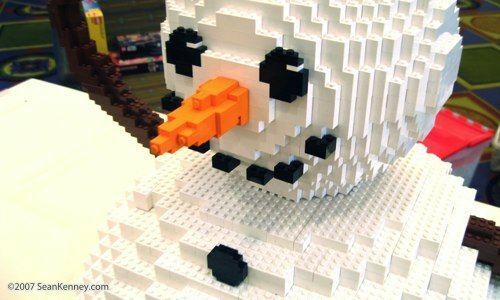 Sean built a big LEGO snowman with the children, and provided tens of thousands of LEGO bricks for them to create their own little masterpieces. 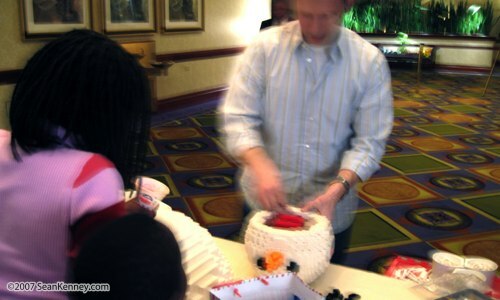 The snowman sculpture was fairly basic in form, since it needed to be built in under 3 hours. 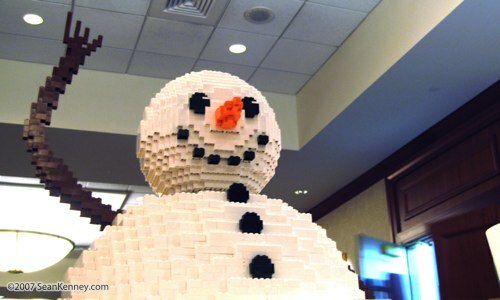 When complete, it used about 4,500 LEGO bricks and stood about 2 feet tall. 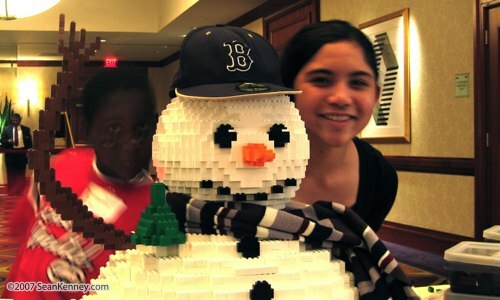 Kids had fun attaching their own creations to the snowman, like hats, droids, and icicle snow boogers.